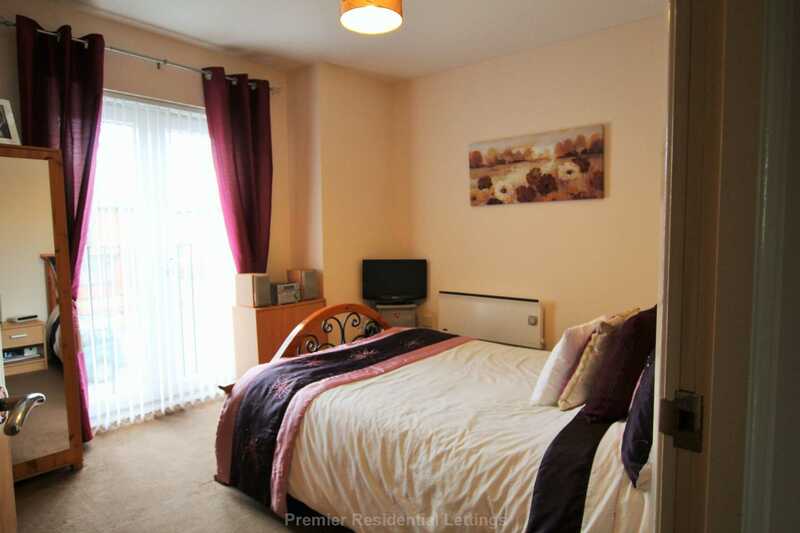 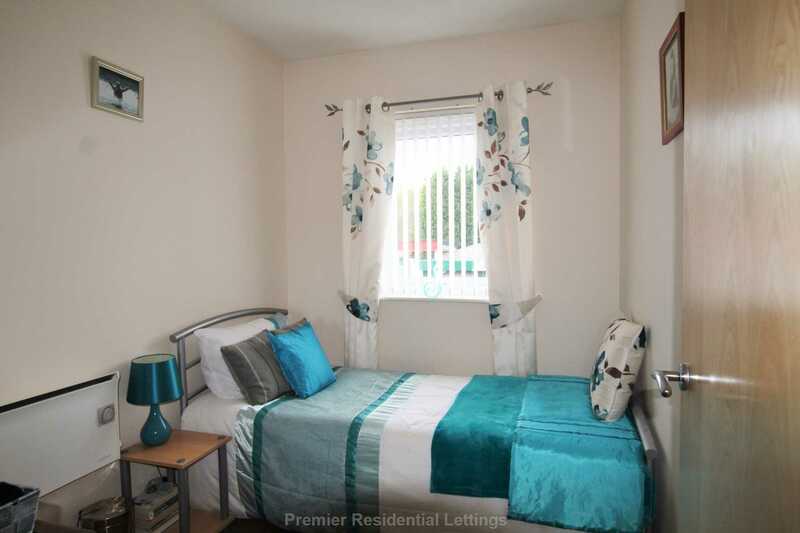 Set in a very attractively designed apartment block with well kept communal grounds and parking, the property is ideally located off Bury Road in Radcliffe with easy access to local shops, schools and the metrolink station with a regular service to both Bury and Manchester. 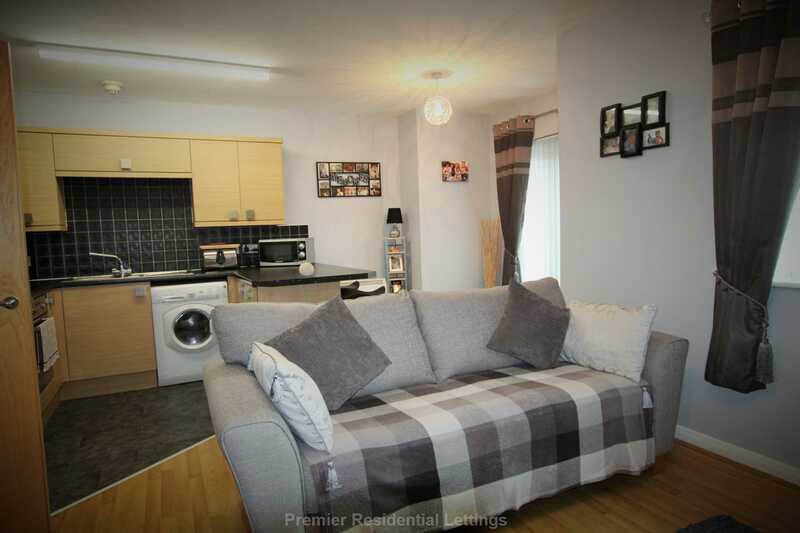 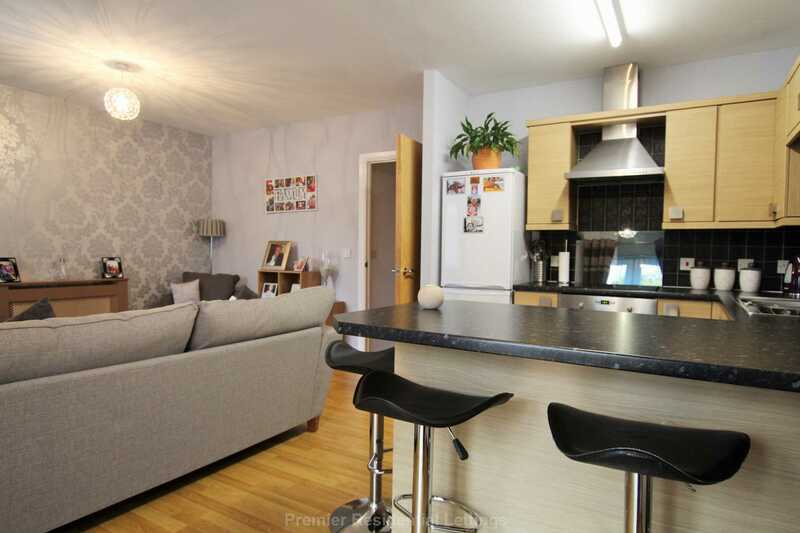 This apartment is on the first floor and comprises of entrance hall leading to fully fitted kitchen/lounge area with washer dryer, fridge freezer, electric oven and hob, vinyl flooring and juliette balcony. 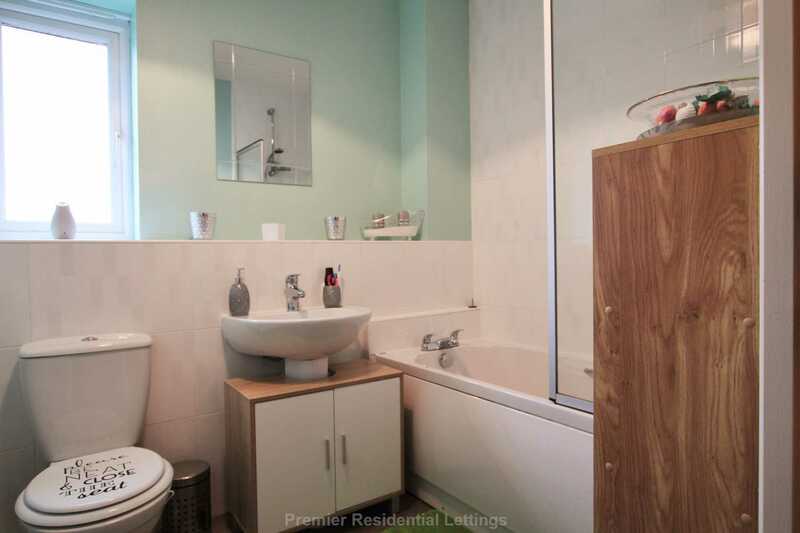 Laminate floor throughout.Two carpeted bedrooms (one double and one single) and a spacious 3 piece tiled bathroom with shower over bath and lino flooring. Extra storage in hallway, double glazed windows, phone and TV points, electric heating and an allocated parking space. This property woud make an ideal first home or shrewd investment.